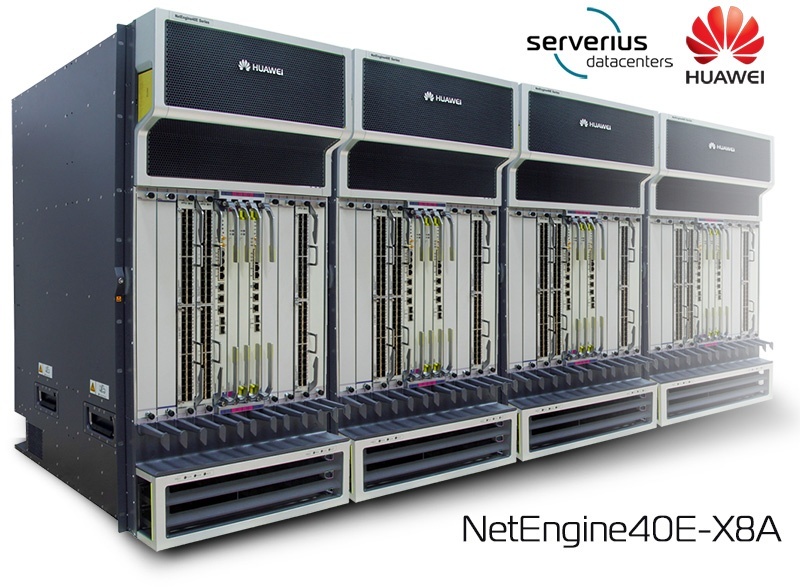 Serverius announced the upgrade of their core routing environment by four new NE40E-X8A Huawei routers. This group NE40E-A universal service routers series will offer a wide range of hardware features like line-rate forwarding, a new well designed Quality of Service (QoS) mechanism, strong service-processing, and excellent expandability for future networking needs. With this all, Serverius will answer to the increased demand for low latency bandwidth by its datacenter users. All four routers are equipped with redundant routing engine line cards, redundant power supplies, redundant carrier port routing line cards and more. With the highest level of HUAWEI TAC support it will provide the highest possible hardware uptime.